Home Crypto News SEC Chairman Reiterates ICOs Are Securities, Bitcoin Is Not. 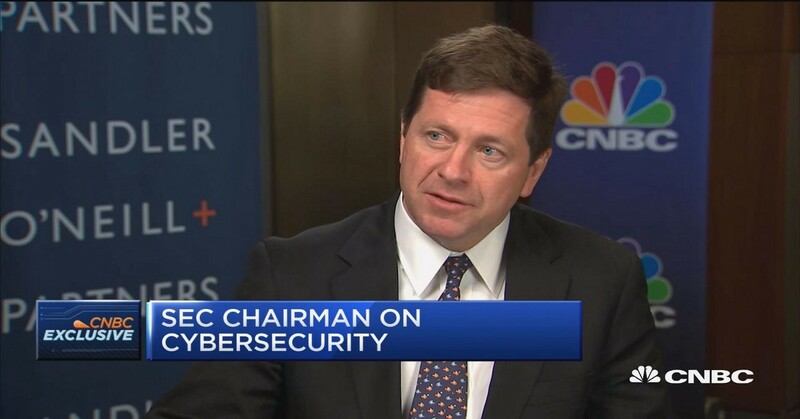 In an interview, today on CNBC, U.S. Securities and Exchange Commission Chairman Jay Clayton made it clear they won’t bend the rules for cryptocurrency when it comes to the definition of a security. With their strong stance, the SEC continues to hinder the common person from readily participating in the early-stage investment community. I believe this will hurt the growth of US business in particular startups. The SEC’s positioning will only encourage startup growth to move or foster outside the US. On the flipside, with clear guidelines from the SEC and less “grey-area,” we will undoubtedly see larger, more established companies leverage the ICO marketplace with “security tokens.” ICOs may be a clear alternative to additional rounds of fundraising from VCs or the ever-elusive IPO. Having a path to funding and liquidity can make them more attractive to accredited investors who normally don’t have access to early-stage companies.